CMMS Imaging uses Chrome Enterprise to help employees provide compassionate care. Editor’s Note: Today’s post is from Derek Georg, Chief Systems Officer for Corridor Mobile Medical Services (CMMS), which provides mobile imaging and lab services to more than 300 medical facilities, such as nursing homes and clinics, in Texas and Oklahoma. 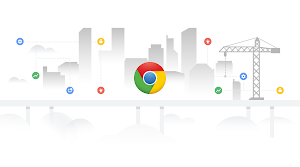 CMMS chose Google Chrome Enterprise, Chromebooks, Android Enterprise and G Suite to bring work data and applications to the cloud and help mobile employees work productively. We think of CMMS as a family, even though there’s about 280 of us now. When Steve Nelson, our CEO, started the company, it really was a small family using vans to bring X-rays, ultrasounds, and lab tests to patients who might be unable to visit a medical facility. When we launched, we described the business as “compassionate, caring, with cutting-edge technology.” That’s especially true today: We’ve upgraded to the newest digital imaging equipment, and when we added lab tests like blood work to our services, the business expanded fast. We’re now serving more than 300 medical facilities from 10 offices across Texas. As the company grew, we realized the tools we were using, like Microsoft Office and Windows laptops and desktops, weren’t suited to our employees working outside the office. When employees were traveling among our 10 Texas offices, they couldn’t log in to clinical applications without awkward virtual private networks (VPNs). They had to spend a lot of time on the road just to meet with each other—wasted time. Everyone had to work separately on documents until we could meet in person or email each other—and the worst was updating our spreadsheets and merging information about patient visits and client billing. When I first tested a Chromebook and Chrome Enterprise, it was an eye-opener. I was inspired by how it could help our people work more easily together—how we’d no longer be limited to working from our headquarters: we could work from the road, other offices, and even from home. 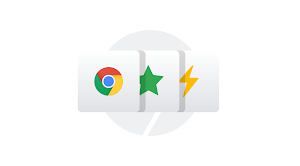 Just a few months after we adopted Chrome Enterprise, our employees were able to access everything they need—spreadsheets, storage and documents—directly from the dock on their Chromebook home screen. Chrome Browser’s security protections, like safe browsing features and site isolation, also give us peace of mind that we’re less likely to be compromised by external threats. We also moved our billing and medical imaging storage to the cloud, using G Suite tools like Google Drive to quickly find the documents we need. G Suite can be used to comply with HIPAA, which was an important consideration for us. We have terabytes of imaging data we sometimes need to access, and Cloud Storage Nearline gave us an affordable way to store it. Recently, we added Chromeboxes and digital screens to our conference rooms so employees could connect using Hangouts Meet. We bought Chromebooks for our execs, and we’re going to roll out more soon as we move away from Windows laptops and desktops. In the future, we may add Chrome OS tablets for mobile lab staff. Now, when I pass our conference rooms, I can see how employees have changed the way they work. Instead of Post-It Notes and notebooks, they’re using Chromebooks to share notes and ideas with Google Docs and Google Keep, and they meet with Hangouts Meet instead of losing all that time driving to other offices. We’re even using Hangouts for employee onboarding so new hires don’t have to drive to our main office in San Marcos, TX for training. We’ve also seen changes in how our executives work. When they’re commuting to our Arlington lab for weekly meetings, they use their Chromebooks to stay on top of email and work together on projects. Instead of commuting solo for hours, they can work together in a Wi-Fi-equipped van, gaining eight hours of productivity per person every week: an entire work day. The workers who staff our X-ray and diagnostics vans are also working far more efficiently, thanks to Android Enterprise devices that the IT team can manage from our home office. We outfitted the van teams with Samsung Galaxy S8 devices, from which technicians can log into our EMR (electronic medical records) system via Chrome Browser to access patient information securely. The van teams love the Android devices because the big screens and fast operating system are a good match for their busy workdays. When technicians can use their devices to get X-rays and diagnostic tests completed quickly, they don’t need to keep patients waiting—a much better experience for the patient. Our IT team breathes easier knowing that with central control of the Galaxy S8 devices, we can keep patient data secure. With Android, we can use advanced device encryption, which adds an additional layer of data security and is a HIPAA best practice. Lost devices or forgotten passwords are no longer a problem: We can reset passwords and wipe devices with Google Mobile Management, which is included with our G Suite license. If the van teams find useful apps they want to test out, we can deploy them to all devices with just a couple of clicks in the Google Admin console. As we see how Chrome and the cloud are bringing far-flung employees closer together—and adding mobility to their workdays—we’re figuring out new ways to make Chrome OS work harder for us. We’re adding Dialpad, a cloud-based virtual phone system that integrates with Chrome, to our client call center, and we’re also adding in Salesforce—with Chromebooks to come in the future. This way, our call-center workers can better serve our clients—they have access to all the tools they need, like billing and imaging applications, as well as Google Drive records. From the day we launched CMMS with our first mobile van, “compassionate and caring” were the values we carried through every patient visit. With Google Cloud’s help, we’ve made sure that “cutting-edge technology” is also a company value—one that helps us do good work for clients and patients.